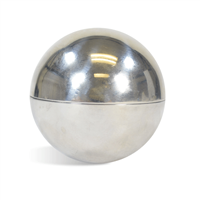 Create easy, perfect, 3 inch Bath Bombs with this Stainless Steel Bath Bomb Mold. 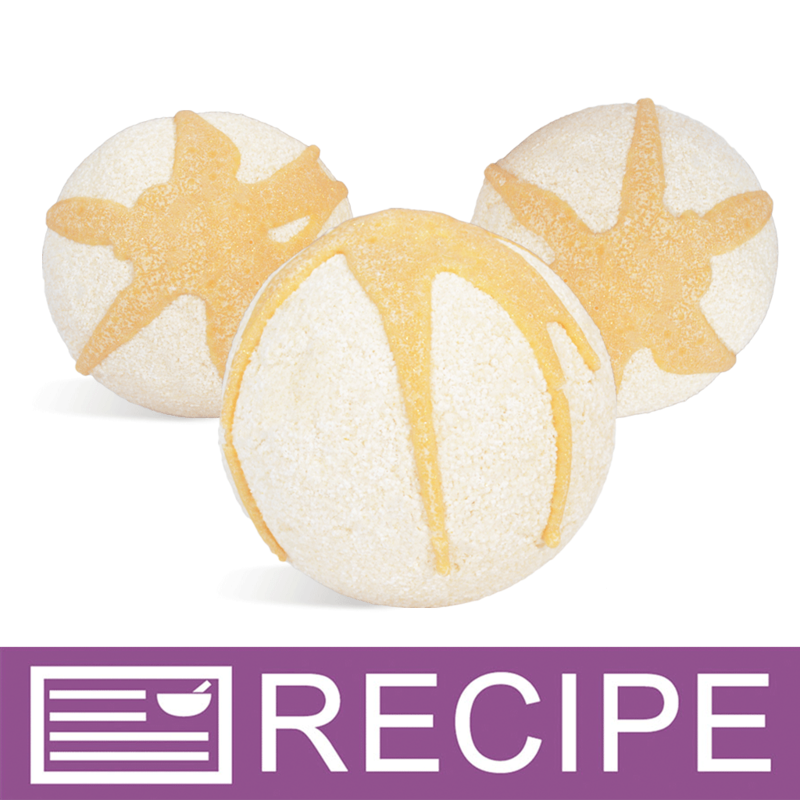 Each set contains 2 halves that create one round bath bomb. Creates a bath bomb that is approximately 8.9 ounces. Weight of bath bomb varies based on formulation. 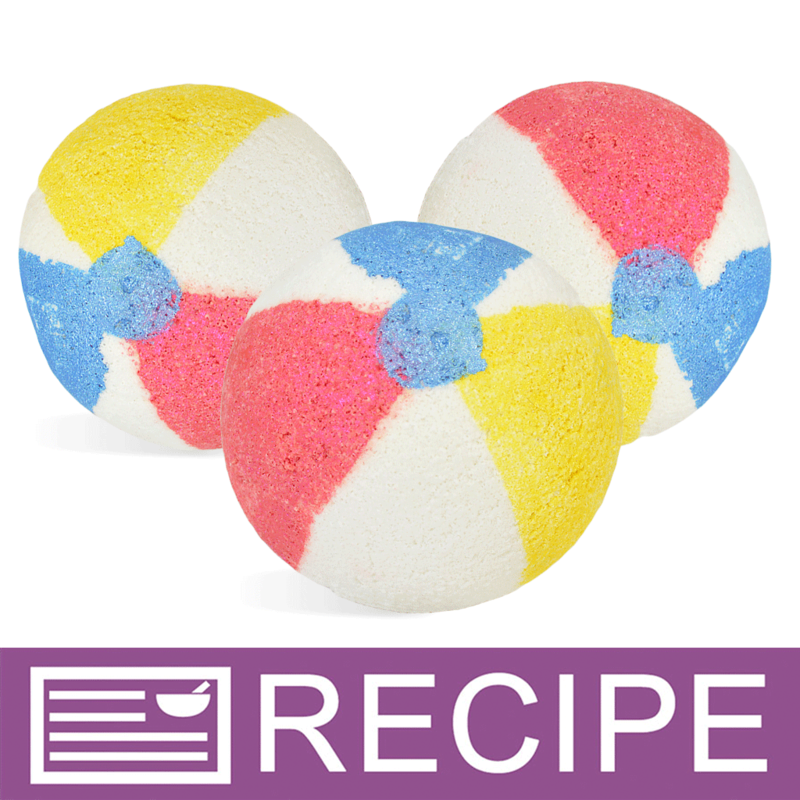 Generously fill each side of mold with bath bomb mixture. 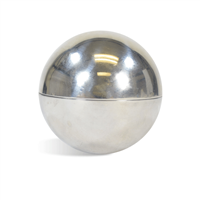 Push both ends together tightly to form one, spherical bath bomb, allowing any excess product to fall off. After the bath bomb is formed, carefully remove each side of mold and let bath bomb to harden. Do not leave bath bomb in mold. Wash after each batch. COMMENTS: I was looking for good quality, BIG bath bomb molds and this fits the bill. 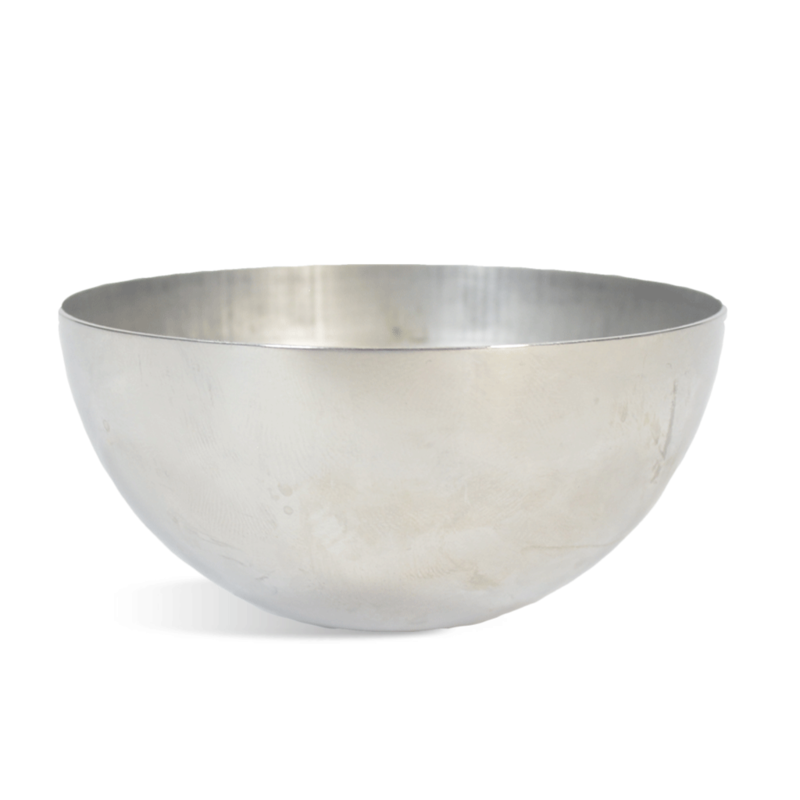 It's very nice, doesn't dent and my bath bombs pop right out with no issues at all. It did take me a few tries to get used to using a mold without a rim for grip but once I did, it was perfect and I will be ordering more in other sizes. Even my stickier, oatmeal, resin and honey bombs slid out easily. I have and do recommend this to anyone who wants a great product at an affordable price. COMMENTS: The mold was way bigger than I expected it to be so I will definitely have to up my batch size for these. Easily separates from product and have had no issues so far! Will definitely be buying more! COMMENTS: I love the size of these bombs. I will not mention the retailer's name (rhymes with brush) but I had some of their bombs and their bombs were slightly smaller. My only complaint is that they are slippery. So, when separating the top from the bottom, was a bit difficult with gloves. I still love them tho. 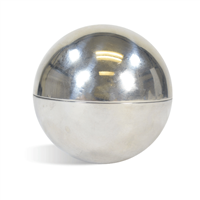 "I used the metal bath bomb mold and I can't get my bath bomb out of 1 half of the mold! I have let them set for days now and still no luck. Also tried putting in fridge and then the freezer. Is there something I can use to coat the molds before placing the salt mix into them in the future?" Staff Answer It is best to remove the bath bomb from the mold once it is formed. We do not recommend leaving in the mold to harden. As you have found, it is very difficult to remove from the mold. You might try hitting on the counter to loosen it. We do not recommend coating the inside with anything. Simply remove the bath bomb from the mold and let sit out to harden. We find using bubble wrap to place the bath bombs on keeps their shape.